You can always set your watch to certain things in the NFL, especially early in the season. There will be massive overreactions to early season wins and losses. The Patriots will struggle early and every show this side of Mars will ask, “Is this the year, everything falls apart in NE?” Some surprise team will arise creating some talk and the Chiefs offense under Andy Reid will get off to a blistering start. Reid always has his offense much more prepared for the start of the season than opposing defenses in the NFL and the Chiefs are one team you don’t want to face in the early going, (see New England, Week 1, 2017). Last year the Chiefs roared out to a 5-0 start and were averaging 33 points per game. But once the NFL defensive coordinators caught up, Kansas City would only score 30 points in two more games the rest of the way. But… that was with Alex Smith. Smith, it should be noted, was smart, moved well in the pocket and rarely made mistakes with the football. But his weakness was his arm strength. Patrick Mahomes, on the other hand, does all of those things well too but has an absolute cannon for an arm. Bill Belichick said on Monday, that if Mahomes is on his own 20, then you have to defend your goal line because he can throw it that far. The only thing he lacks right now is the experience. Kansas City is off to an even better start this year under Mahomes as their offense, while fun to watch, has to be a nightmare for opposing defensive coordinators to scheme up ways to slow down or stop them. Eventually, the defenses will begin catching up, as they get more tape on this year’s version of Reid’s offense. They’ll get a better insight in how to slow them down and they’ll find things that Mahomes doesn’t do well. They can’t keep up this kind of scoring pace week after week. We saw this first-hand with the Patriots in 2007. 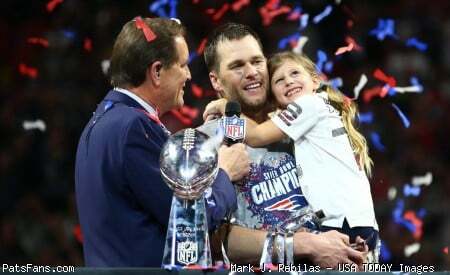 By the end of the season, although they kept winning, opponents had figured out a way to slow the Patriots and Brady down. Will this be the week for KC after Bill Belichick and the Patriots have 10 days to prepare? Meh….I’m not so sure about that. But it does require some dumpster diving into the film vault and watching that nightmarish night the Patriots defense had last year on opening night. It helps to have no game on Sunday with extra film time to spare. Because the Chiefs run much of the same concepts …only better. Reid is an incredible innovator. He has blended a wonderful marriage of the Bill Walsh West Coast offense that he was raised on, and the college spread. Much of what Reid and the Chiefs do is pure college spread. The outside zone RPOs (Run/Pass Option the dirty word no one in NE wants to hear), bubble screens, touch passes, diamond formation options, etc. While it isn’t quite the college spread…it is close. The old stand-by in college was to have the defense play in a nickel (4-2-5) and be aggressive by attacking the formation. One half of the equation is still correct and the other, not so much. Modern spread offenses in colleges have learned how to beat the nickel and Reid’s offense just eviscerates it. Opponents have run a version of the nickel this year against KC, as the second most common defense against them, in an attempt to slow down their speed. And the Chiefs have been successful on nearly 60 percent of their plays. Opponents have to be aggressive, as we saw Denver attempt to do for much of Monday night, but have to be willing to allow the occasional big play. The Patriots traditionally have eschewed that technique. And worse from a Pats perspective, this KC offense stresses the play of the opposing linebackers. And if there is a weakness on the Patriots defense, it is the depth and speed at linebacker and that is exactly what the KC offense attacks. Where the aggressiveness negated Miami’s speed last week, the flip side of that was that the Dolphins are not good at running the football. Kansas City is much better at it, although they haven’t done it extremely well yet, they gave New England fits with their running game a year ago. They run to the right extremely well as we’ve seen here in Week 1 a year ago. Their run-pass option will freeze the linebackers and allow their tight ends (Kelce, Harris) to get behind the second level and have a lot of free space to move. They then isolated Hunt on DE Cassius Marsh where Smith hit him in stride for a long TD, that was not Marsh’s fault, but a superior job by Smith and Reid for taking advantage of a mismatch. They confuse the opposition with a lot of different looks and using different players. The run the Jet sweep with two different players out of two very different formations and they can, (Week 1 vs LA Chargers) make a defense look silly running it in for what appeared to be an uncontested touchdown. The beauty of Reid’s offense is that while it appears very complex and confusing to the opposing defense, it is very easy for his players to execute. And he gets everyone involved. Between the 20-yard lines, the passing game relies mainly on Tyreek Hill, Sammie Watkins, and Kelce. Once they get into the red zone, they get everyone involved, which is the opposite of what most teams do. Opponents have tried to run the nickel, as we listed above without effect, and the most prevalent defense facing the Chiefs this season has been a 3-3-5, which they’ve also shredded to where their play calls are almost 70 percent effective against it. The Patriots tried the big nickel with Jordan Richards last year and he reacted too slowly for a screen pass for Hunt who slid across the formation and had an easy touchdown. What works? The old-fashioned 4-3 Cover 1 and the 3-4. But, as we’ve seen in the past, a QB that can run, the Patriots preach to contain and gradually squeeze the pocket and that player ends up with a ton of time to throw the ball. If that is the way they approach Sunday night, then look for KC to score in the upper 30s at least. Against a spread type of offense, having players that are in a nickel and who aren’t going very aggressive towards the QB is a bad mix. Mahomes can gun the ball into very tight spaces and the only way to combat this is to be aggressive and try to mix up your coverages. Last year, they ran a bunch formation to the right and the rub by the WRs left Hill wide open on a drag route across the middle for a huge gain. Then a busted coverage allowed Hill to run all alone down the sideline for a 75-yard touchdown. The communication in the secondary will have to be much better than this. This will be a huge matchup to watch this week to see how Bill Belichick decides to attack the KC offense and how each side adjusts once the game begins. The Patriots may opt for a smaller, faster front with a big man (Shelton, Guy) anchored at the nose, but run the risk of being run on with Hunt. No one has been able to slow down the Chiefs offense yet, and the Patriots defense doesn’t seem to match up well against what KC does best. But we’ll see what Belichick can come up with. He’s had 10 days to prepare for them, so not looking prepared for what they do isn’t an option this week. 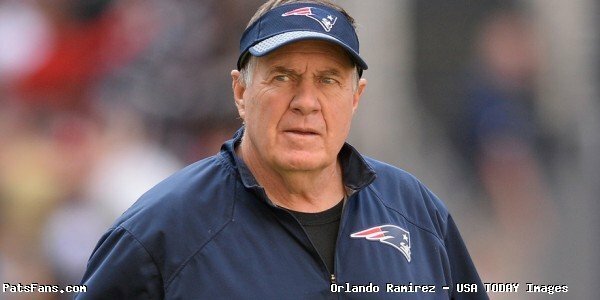 This entry was posted in 2018 Patriots Regular Season, NFL Commentary, NFL News, Patriots Commentary, Patriots Film Room, Patriots News, Patriots Stat Breakdowns and tagged 2018 NFL Season, 2018 Patriots season, Andy Reid, Dont'a Hightower, Kansas City Chiefs, Kareem Hunt, Miami Dolphins, New England Patriots, NFL, Patrick Mahomes, Patriots, Patriots edge rushers, Travis Kelce, Trey Flowers, Tyreek Hill on October 9, 2018 by Steve Balestrieri.